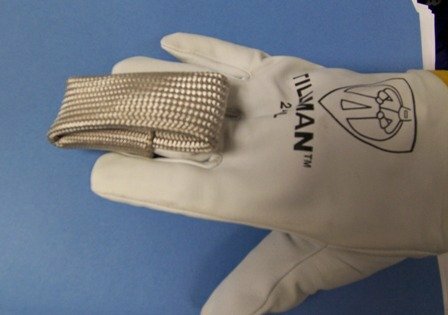 What is the best way to get better at Aluminum welding? or Tig Welding in general for that matter? Listen up, cause I’m about to throw something down that you will definitely want to pick up. Aluminum Welding - Tig welding Aluminum. That is the way. If Yoda was a welding instructor he would have all his Jedi masters tig welding aluminum to make them strong in the force. This is starting to sound like a line of BS so I better get to the point. What I am saying is that aluminum welding will make you a better welder of all metals....not just aluminum. With Aluminum welding, You have to feed more rod...your rod feeder hand will have to get better and faster and that will help on all metals. Seat Time/ Arc Time...practice like I outline here and you get lots more seat time.... you spend your time welding and not cleaning and wire brushing. Getting a piece of aluminum about 1/8” thick and stacking beads on it is the best tig welding practice there is. Aluminum cools quickly and doesn’t form a grey oxide film like carbon steel does so you can stack beads , one on top of the other and the puddle will flow the same bead after bead…well , almost. Aluminum conducts heat rapidly so you have to get used to working the foot pedal remote amperage. You cant get lazy and just leave your amperage in one place like you can with steel. Aluminum exaggerates everything that can go wrong with steel. For example, too much arc length, too much torch angle, not enough amperage, too much amperage….all will cause problems and make you think more about how to fix your technique. When ..not if, but when your electrode gets crapped up with aluminum, stop and clean it off with a sander. You can get away with a tiny bit of contamination when you are tig welding steel. Not so with tig welding aluminum...unless you like welding aluminum inside a big cloud of black soot. With just one scrap piece of aluminum sheet, you can stack bead after bead practicing spacing your ripples, keeping your bead width consistent, welding fast, slow, medium. The piece I welded for this page was 4” x 8” x .125” thick 3003 aluminum. It does not matter what grade you use… . whatever you can get your hands on will do. I recommend welding a bead all around the edges first. That is really good practice controlling amperage…too much amperage and you roll the edge off and the bead gets fat and ropey. Too little amperage and you don’t even melt the rod without it just balling up. Once you get an edge weld all around, practice just running beads and stacking them evenly. Not just running random beads, but practice with purpose. Purposefully stack beads as straight as you can. 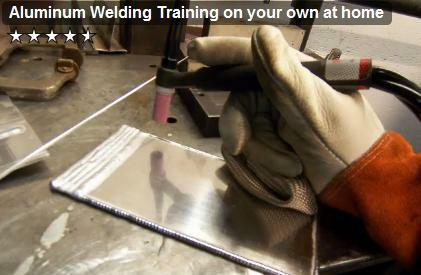 Practice Welding right handed, left handed, weld fast , weld slow, add rod every 1/8”, try adding rod every 1/16” too. Pay attention to the difference. Which ripple spacing do you like better? Sometimes its just a matter of preference. Do you like the stack of dimes look? Or do you like tightly spaced ripples better? Practice stacking beads diagonally too. When you are building up a big lug on an aluminum transmission case, you need to vary the direction of beads to spread the shrinkage stresses. That can actually help prevent distortion and cracking. The time to get good at stacking beads is on a scrap piece of aluminum. Not on the actual job. *** A/C balance if your machine has it,,,set to around 7 or 8 if you are using an inverter, set the balance to around 65% and HZ to about 90. 2. Move the torch 1/8” per second , pause , add rod, repeat. 6. Try different electrode prep and notice the effect on the arc. Try a blunt but sharp point, try balling the tip, try rounding the tip with a sander. Pay attention to which one works better. 7. If the rod balls up before you get it in the puddle, something is wrong. Either the rod is too small, or your torch angle is too much, or your arc length is too much, or a combination of all of the above. 8. One more trick…when you light up on aluminum, sometimes you see some dark crap form. Wait until it goes away before you increase amperage and melt a puddle. This one trick really helps on dirty castings. Did you notice how many times I said "pay attention?" I must really mean it. Good luck with your aluminum welding training welder. Click the TV icon below to visit our new store at welding-tv.com and grab some Tig Fingers. Bundle and save money.